You have served your country well and now we are proud and happy to welcome you home to your family and friends. Thank you for the sacrifices you have made to defend our country. We honor your strength, courage, and commitment. Can't express the love and admiration that I have for you. I thank you for serving our country, since I strongly believe that the USA needs to be the peace keepers in this crazy world, there is not another nation out there that can do what we do. 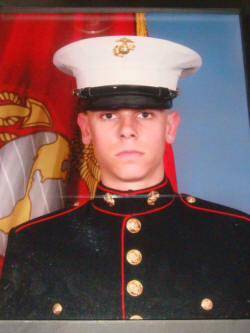 But, without you it would never be done, so Semper Fi - Marine - I love you.